The Tabubil Catchment School Support Program (TCSSP) is the K49.3m educational program funded by the Papua New Guinea Sustainable Programme (PNGSDP) and is implemented by the Star Mountain Institute of Technology (SMIT), a 100% subsidiary of the PNGSDP. The TCSSP aims to improve the participation and retention of students and teachers in, and the quality of 17 elementary and primary schools in Tabubil and the surrounding areas. The schools to directly benefit are the five primary schools in Finalbin, Tabubil, Wangbin, Migalsim and Ok Ma and the 12 elementary schools in Finalbin, Bultem, Kavorabip, Korokit, Marentikin, Tabubil, Wangbin, Kabip, Migalsim, Bolangum, Ok Ma and Derongo. The Program has seven components but the major ones are Infrastructure (62% of the funding); Teaching & Learning Materials (12%); School Library Resources (6%); Teacher In-Service Qualification & Upgrade (4%) and Advocacy (2%). The Project formally started in August 2012. One of the first major activities was a day-long awareness and advocacy workshop for the teachers, board of management members and other community leaders. It was held on the 7th September 2012 at the Tabubil Gazebo Club and over 70 participants came, including Mr. Charlie Buia, the North Fly Education Superintendent and officers from the OTDF and the PNGSDP Tabubil and Kiunga offices. Mr. Buia fully supported the Project and stressed the importance of partnership and collaboration amongst all parties concerned. During the workshop teachers and leaders of the targeted schools identified their priority projects for assistance under the Project. Because of the high cost and the many challenges of carrying out development work in the Star Mountains areas the Program would be implemented in two phases. Phase I, with a budget of K12 million, would be for the years 2012-2015 and will target four elementary schools in Bultem, Finalbin, Kabip, Migalsim which are located very close to Tabubil. K7.6 million of the Phase I budget is for infrastructure and Finalbin, Kabip and Migalsim will each receive two teachers’ houses, a double classroom and a library while Bultem will receive a single classroom, a library and also two teacher’s houses. A contract has already been signed with the material supplier and builder and work on these buildings is expected to start by July 2013, once the materials arrive at the Kiunga wharf and are trucked to Kiunga around June 2013. The remaining balance of K4.4 million would be used to buy and distribute teaching and learning materials, library books and assist education officers, especially teachers to improve their qualifications and experience and to assist in education service delivery such as in financial management training, school inspection and teacher registration, the Education Sector Plan review and assistance towards the School Learning Improvement Plan (SLIP) for each of the target schools. 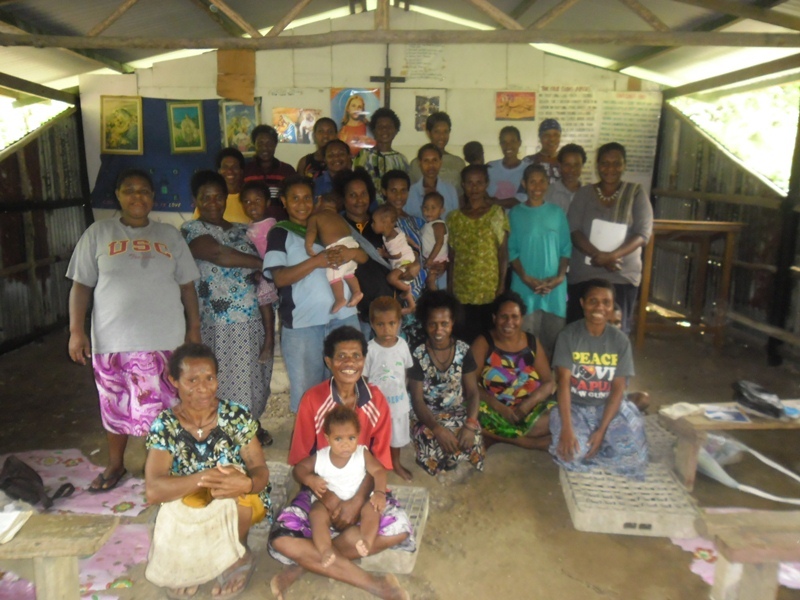 Phase I of the TCSSP is being implemented with the input and advice of a Project Advisory Committee (PAC) comprising of key development partners including the North Fly Education Division, OTDF, Catholic Education Office, PNGSDP, Star Mountains LLG, Star Mountains Women’s Association and school/community representatives. Phase II of the TCSSP would be implemented from 2015 and would target the remaining 13 schools. But this will depend on the lessons learnt from implementing Phase I as target schools accessible only by air will pose greater challenges.